On the Georgian Bay side of the Bruce Peninsula, the limestone cliffs seem always visible somewhere. They lend a sense of the wild, of an exotic locale. You may wander through farmland, villages and towns, but a quick glance around usual provides a view of the Bay or the cliffs. The Bruce Peninsula has some good farmland but in many places the earth barely covers the rock. Farmers graze cattle, sheep, goats and horses on this land. 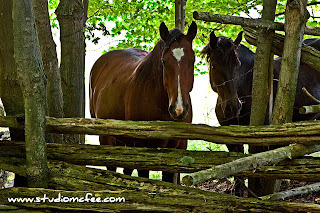 The fences needed to confine the animals lend some character as well. 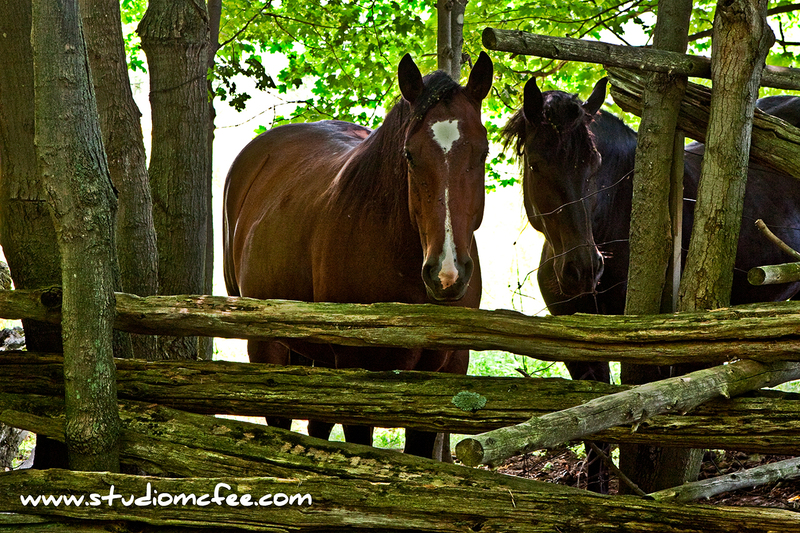 Cedar rail fences and rudimentary wire fences make for enchanting photographs. Encountering horses, sheep or goats is fine but one stretch of the Bruce Trail near Big Bay had signs warning about a bull in the pasture. Best to heed those signs. Bulls can be dangerous and unpredictable. 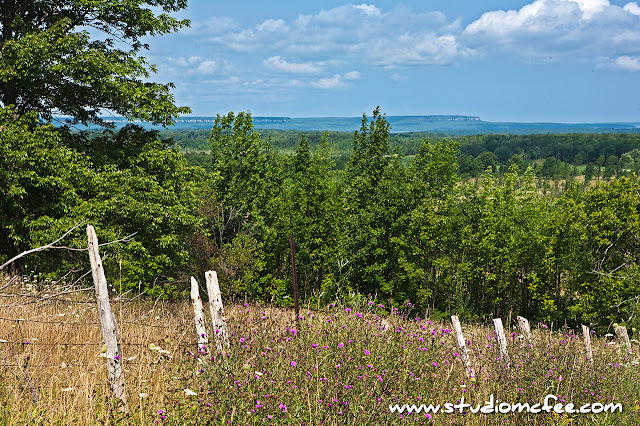 The Bruce Peninsula is a moderate drive from much of Southwestern Ontario. It is the route to the Chi-Cheemaun ferry to Manitoulin Island. But don't just drive up the main highway. Get off the beaten path and travel the winding coastal roads on the eastern / Georgian Bay side. You'll be glad you did. For more about the Bruce Peninsula visit The Treasure of the Bruce.